First thing's first: Topshop, I'm in love with your retro sci-fi Show Space. The most fashion-forward of the Great British High Street never fails to put down its unique stamp, not just in high street retail but fashion design in general. Nomen est omen. 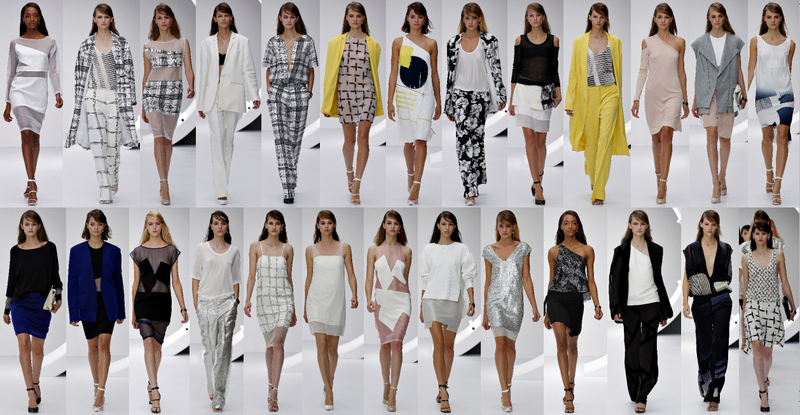 Unique's s/s 2013 collection took two basic directions: oversized and sleek. The first was all about wide, soft, relaxed trousers, jackets, shirt dresses and jumpsuits in a nod to sports luxe but quite unlike anyone else's take on the trend. The second takes care of office or drinks time for you, semi-fitted with a bit of clever structure, sparkle or transparency.